Large data volumes, widely distributed data sources, and multiple stakeholders characterize typical e-business settings. Mobile and wireless technologies have further increased data volumes, further distributed the data sources, while permitting access to data anywhere, anytime. Such environments empower and necessitate decision-makers to act/react quicker to all decision-tasks including mission-critical ones. Decision-support in such environments demands efficient data quality management. 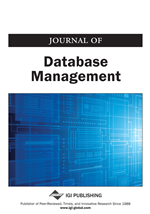 This paper presents a framework for managing data quality in such environments using the information product approach. It includes a modeling technique to explicitly represent the manufacture of an information product, quality dimensions and methods to compute data quality of the product at any stage in the manufacture, and a set of capabilities to comprehensively manage data quality and implement total data quality management. The paper also posits the notion of a virtual business environment to support dynamic decision-making and describes the role of the data quality framework in this environment.